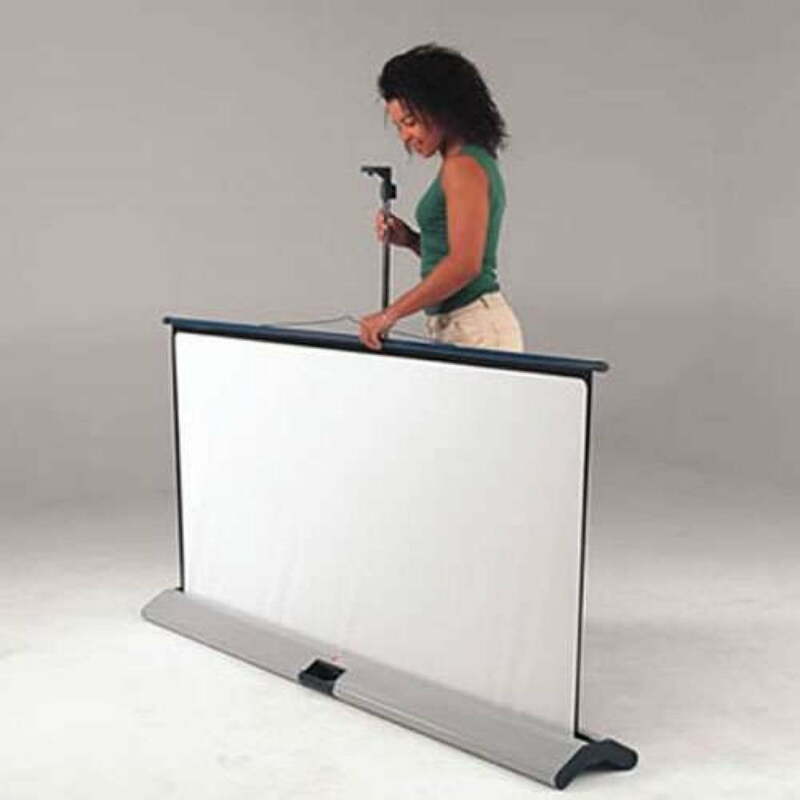 The Movielux Portable Floor Screen is a compact and easily portable projection screen with contemporary design. 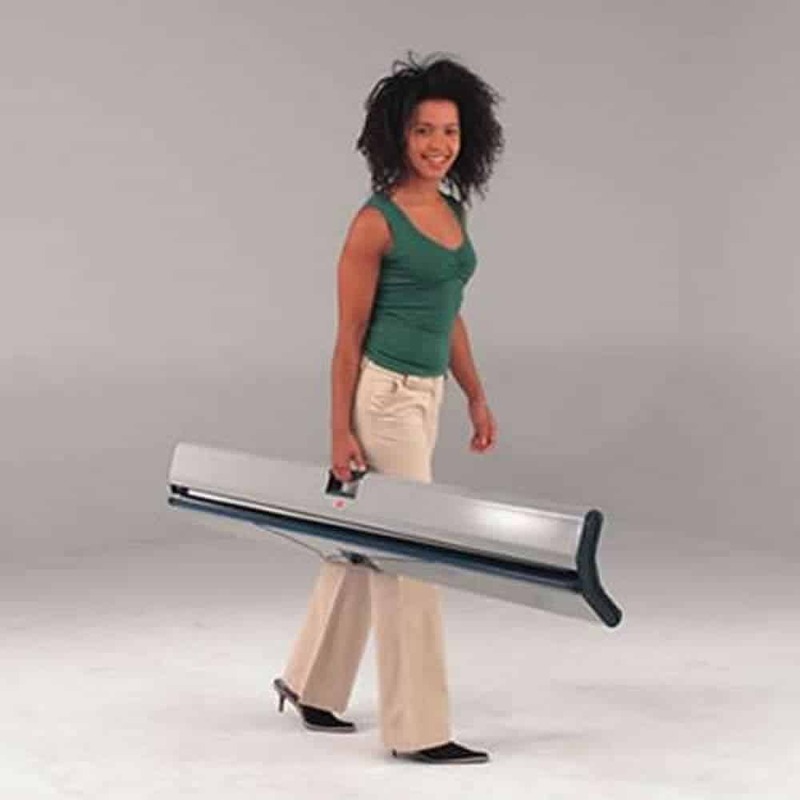 It features an inbuilt carry handle, a height adjustable pole and integrated pole storage within the base / case. 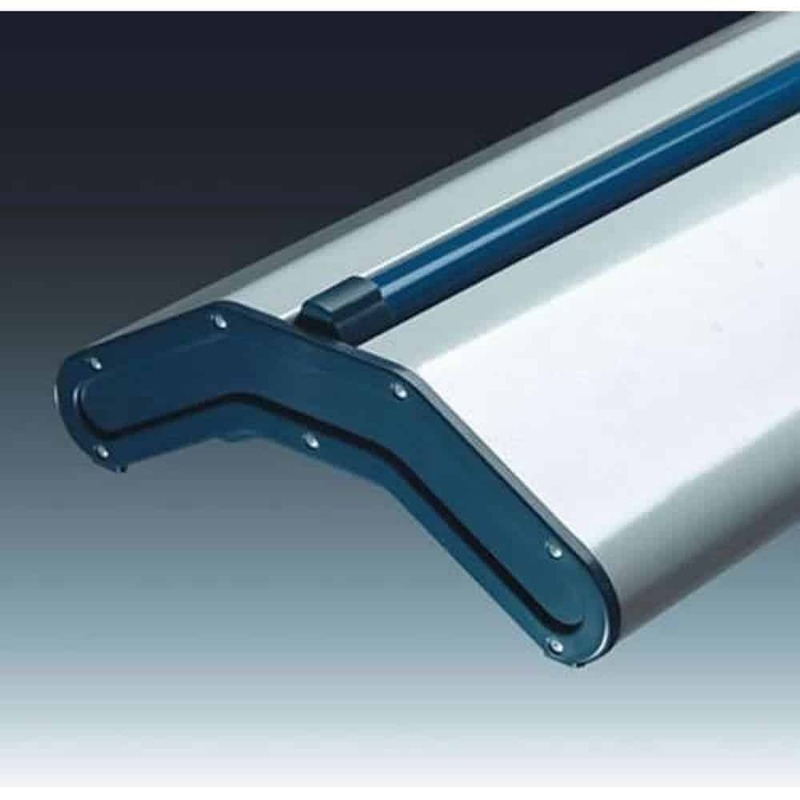 The case is part of the stand, giving stability when fully erected and durability when being transported. 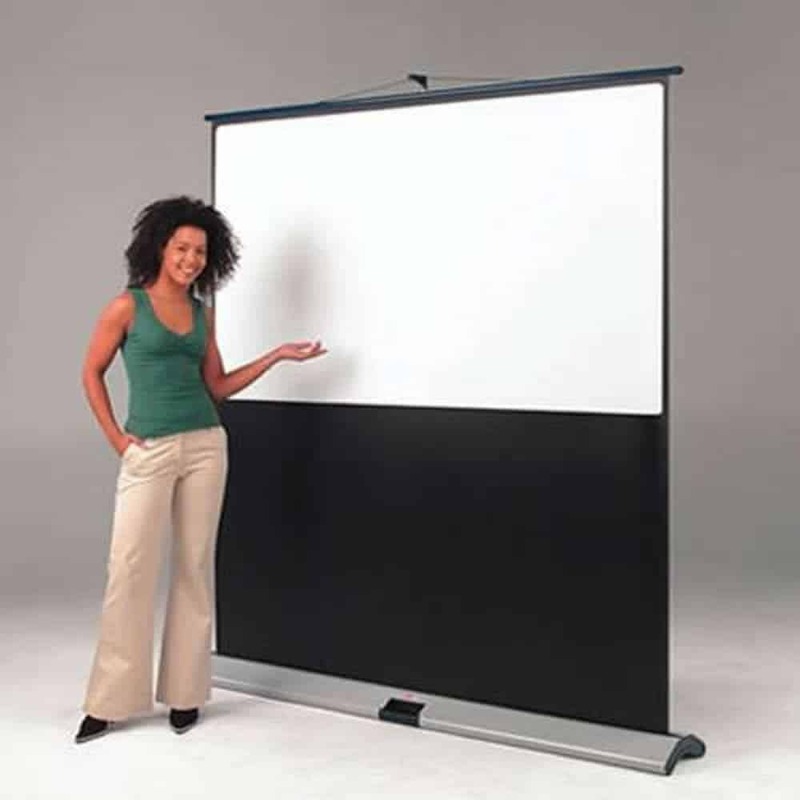 The lightweight space saving design also means that the screen is not a bother when moving around, being put up and being stored. The black borders frames the projected images to provide clean edges and giving better contrast.